A group of Arabs threw about ten Molotov cocktails at Border Police in the eastern Jerusalem neighborhood of Ras al-Amud. Arab sources report that security forces returned fire and killed one rioter before the rest dispersed. Walla! 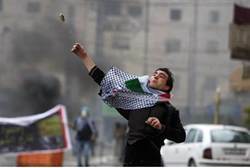 news identifies the dead terrorist as Ayman al-Abasi, a 17-year-old from Silwan. He previously spent a year and a half in an Israeli prison for his involvement in a 2012 stabbing in Ras al-Amud. Al-Abasi’s brother is currently serving a seven-year sentence, also for stabbing a Jewish man. Arab media claims that the Al-Abasi was moderately to severely wounded, then died in a hospital. A police spokesperson says that the dead rioter was holding a lit Molotov cocktail in his hand, which the security forces considered an immediate lethal threat. The statement added that police did not see any confirmed hit on the teen. No Border Police were injured in the incident.